He was born George Kofi Nyidevu Awoonor-Williams and somewhere along the line, the George and the Williams dropped off, the Nyidevu stayed when he was minded to sound formal, but for the past 40 years or so of his life, he was known as and called Kofi Awoonor. After graduating from the University of Ghana he got a job with the newly established Institute of African Studies as a researcher, and moved into the heady circle of Ghana’s first President Kwame Nkrumah and the pan-African campaigns of the early 1960s. 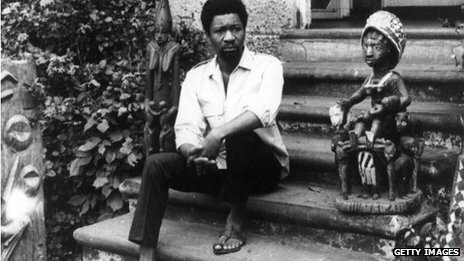 One recalls his production of Wole Soyinka’s The Lion and the Jewel at the Drama Studio in Accra at the time when Mr Soyinka was being held in custody in Nigeria. In 1975, after returning to Ghana after an absence of six years during which he got his masters and PhD degrees, he got dragged into one of the “subversion trials” that characterised the military regime of the 1970s. More than eight of Ghana’s top lawyers appeared for him at his trial and he spent almost a year in one of Ghana’s disreputable prisons before he was set free. When then-Flight Lieutenant Jerry Rawlings staged his coup d’etat of 31 December 1981, Kofi Awoonor joined the revolution with all his feet and hands, to borrow a Ghanaian phrase. It was painful to watch and it is perhaps worth noting that this book is not cited in any official list of his writings. But it turned Kofi Awoonor into a contentious man in Ghana politics and you had to get close to him to discover the same witty, urbane man remained in what had become a bogeyman for some. He served successful terms as Ghana’s ambassador to Brazil and other South American countries and Cuba. As Ghana’s ambassador to the United Nations, he served as chairman of the anti-apartheid committee in the critical years of 1990 to 1994 during the transition to democracy in South Africa. He went back to teaching at the University of Ghana, Legon in the year 2000 and a new generation of Ghanaian students discovered his love of language and literature. From 2009 to January 2013, he served as chairman of the Council of State, the main advisory body to the president of Ghana. 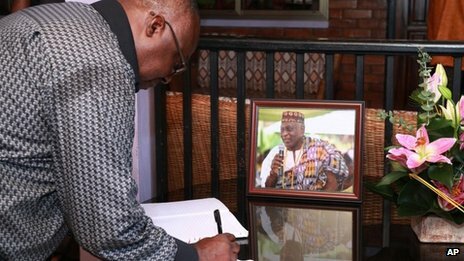 At 78, Kofi Awoonor might no longer be the ladies’ man nor take the lead in dancing at parties but he certainly retained his wit and language dexterity, his passion for writing and he cared for Ghana, for the black race and humanity. It is difficult to accept that a thug of an al-Shabab operative brought the life of this most interesting man to an end in such a violent, hideous and public manner. It is sad that we shall have to remember him in connection with such a dreadful incident. One hopes that with time, the joy and passion for life Kofi Awoonor exemplified throughout his life will emerge as his memorial and the manner of his going will lead many to his poems and the Ewe dirges that were his first love. Kofi Awoonor: Remembering a Ghanaian poet 0 out of 5 based on 0 ratings. 0 user reviews.